It's always encouraging to hear about folks who take time to help others in their community and it's a perfect antidote to the cynicism we see around us. 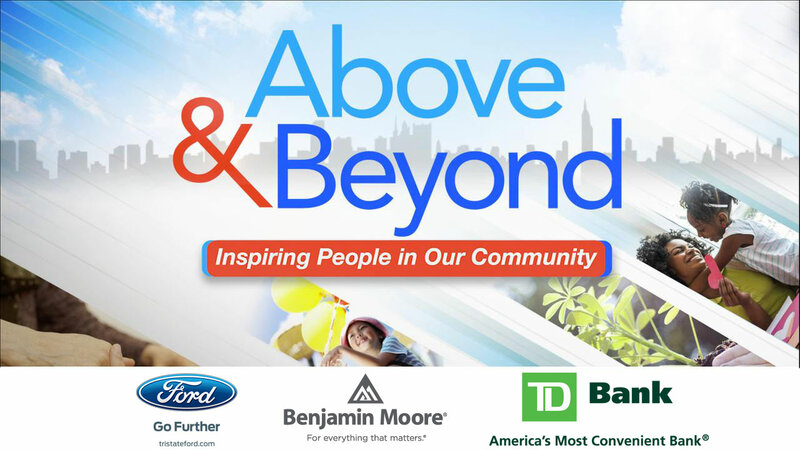 'Above and Beyond' profiles wonderful people from our Tri-state area who have decided to come to the aid of others that are less fortunate. Eyewitness News Anchors Michelle Charlesworth and Rob Nelson share the stories of people from all walks of life who are stepping up to help those who are in need. We introduce a high school teacher in New Jersey who upon learning about child slaves, as young as 4, 5 and 6 years old in Ghana, created an organization with his students called "Breaking The Chain Through Education" and together they have freed 71 child slaves, so far. You will meet a Good Samaritan in Suffern, Rockland County who has, over the last 30 years, donated more than 16 gallons of blood and saved over 400 lives with this gift of life. We feature an award winning documentary filmmaker and an amazing group of veterans in Bed-Stuy Brooklyn who are all about community. The B.S.V. dancers work with young people as a way of keeping them off the streets and away from gangs and the film, "Lords of BSV" has won twelve major awards. We hear about a seventy seven year old Nun whose mission is to collect food for free so she can feed 85 seniors at the Queen of Peace residence in Middle Village Queens and other locations. Also featured is the organization "Beautiful Me" which helps young women to develop confidence in themselves and their self-worth with volunteers creating a day of empowerment in which they learn how to overcome the negativity of bullying, and realize that they deserve to feel beautiful. We also bring you a mother and daughter who have been volunteers for 20 years at the Harlem Food Pantry, and the fact that they're 90 and 75 years old, only adds to their charisma. Those are just some of the stories that will be sure to put a smile on your face and hopefully inspire others to do some good as well. Bon Secours Charity Health System Inc.